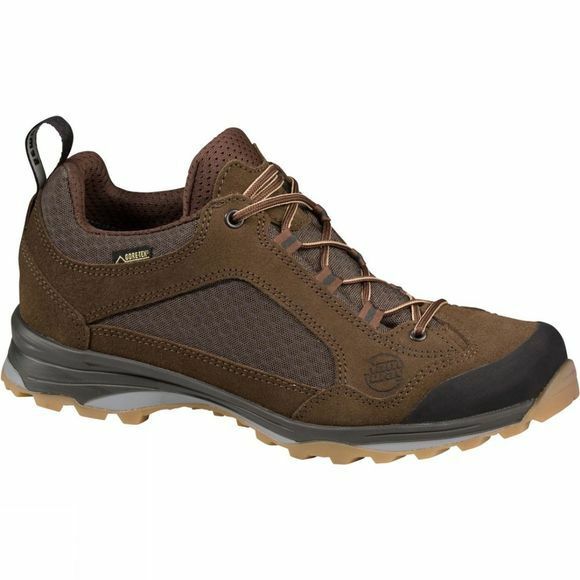 The Men's Barcas Gore-Tex Shoe from Hanwag is a comfortable, low-cut shoe that's been designed for use on the trails. It's stable and waterproof thanks to the Gore-Tex laminate lining that will keep your feet both dry and ventilated, on or off the beaten track. A soft textile cuff has been added for further comfort, and a handy pull loop at the back of the shoe makes it easy to slip on. 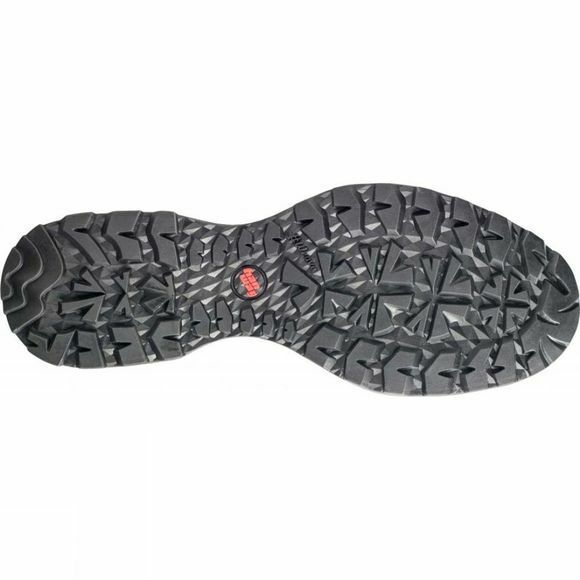 The protective toe cap is ideal when travelling on the trail, rouge roots and trip hazard rocks may make you stumble, but you toes will be in one piece. The shoe is lightweight due to the innovative honeycomb structure sole, which significantly reduces the amount of materials used. It even has a 'self-cleaning' tread so as you walking on harder ground mud and other debris natural shifts from the lugs. If you are looking for a blend of comfort, durability and lightness then you have found an excellent option in the Barcas.